- Incorporates a wealth of pedagogic features to aid student learning, including key models and concepts, research and industry insights, case studies, key terms, discussion questions, and links to useful websites. 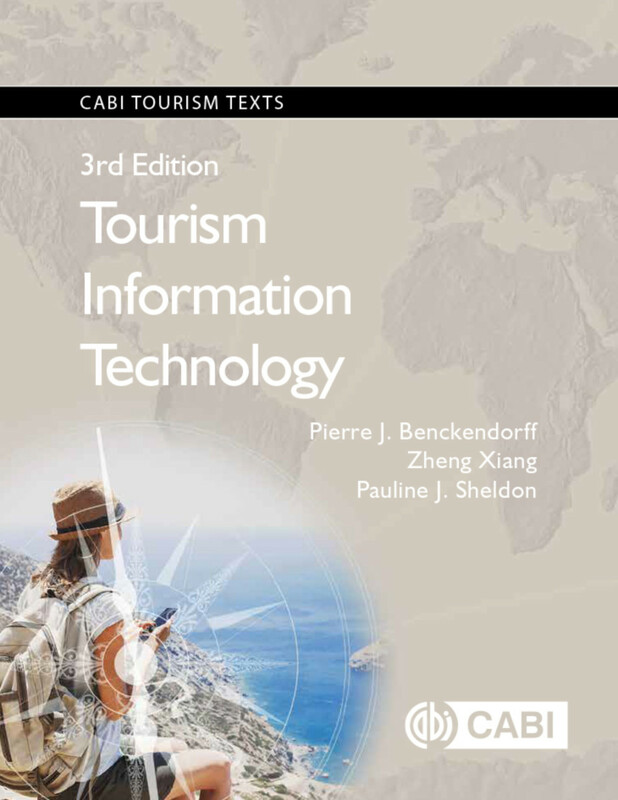 Accompanied online by instructor PowerPoint slides, multiple choice questions and further case studies, this book provides a comprehensive and learning-focused text for students of tourism and related subjects. Pierre J. Benckendorff is Senior Lecturer, University of Queensland, Australia. Zheng Xiang teaches at Virginia Tech. Pauline J. Sheldon is Professor Emerita at the University of Hawaii's School of Travel Industry Management where she also served as Dean. Currently her research specializes in social entrepreneurship and corporate social responsibility in tourism, sustainable tourism, knowledge management in tourism, and wellness tourism. In 2008 she won the UNWTO Ulysses prize for contributions to knowledge in sustainable tourism. In 2009 she was recognized with the International Travel and Tourism Research Association Lifetime Achievement Award, and in 2013 received the Hannes Werthner Lifetime Achievement Award from the International Federation for Tourism and Information Technology (IFITT) for her work in tourism information systems. She has been a Visiting Professor at Vienna University of Economics, Institute of Tourism and Leisure Studies, the University of Balearic Islands in Mallorca, Spain, Hue University in Vietnam, University of Ljubljana, Slovenia, and Bond University in Australia where she won the Dean's Excellence in Teaching Award. Dr. Sheldon has served as President of the International Academy for the Study of Tourism. She co-founded the Tourism Education Futures Initiative (TEFI) with Dr. Daniel Fesenmaier; and chaired the BEST Education Network. She has worked with UNWTO, APEC International Center for Sustainable Tourism, and the World Bank. She is also a teacher with the Art of Living Foundation.